If you like your music hard and fast, it's a tried and tested formula and you will love Asomvel. Knuckle Duster is a must listen for die-hard Motorhead fans and likely to be enjoyed by both Punks and Rockers alike. Formed in 1993 by the late Jay-Jay Winter and Lenny Robinson. Tragically Jay-Jay was involved in a fatal car crash in October 2010, a terrible loss which could leave a band deciding to call it a day. However as AC/DC found Brian Johnson after the death of Bon Scott, Asomvel have continued with Conan. Who knows where they will be in 40 years time! 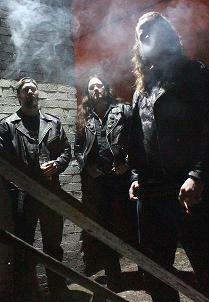 The band released their second album Knuckle Duster on Bad Omen records in October 2013. I played this album a few times before putting pen to paper (literally – hand written bullets to begin) and my immediate thought was Motorhead! The riffs, the rhythm and even the singing style are very similar. Whilst a lot of the tracks are samey it’s a good samey! Speed! Rhythm! Energy! As with most albums some tracks are better than others but I thought all were listen-able and didn’t need to press the skip button! I’d certainly bang this on in the car and put my foot down! Opening track Dead Set On Living started with fast drums and riffs but I’ve already mentioned those! I’m not going to cover every track specifically but here are some highlights. I picked up elements of Motorhead’s Iron Fist in Cash Whore. The riffs in Trash Talker reminded me of The Beast and the Harlot by Avenged Sevenfold, I was also reminded of Dave Evans’ You Talking to Me, although that may just have been due to the chorus – You Talking to Me! I liked the lyrics in Waster. ‘Hang around like a bad smell, don’t talk to me cos you’re boring as hell!’ ‘You’re a Waster’ etc. This one was a bit slower but had some good riffage to go with the lyrics! The title track Knuckle Duster also had the Avenged Sevenfold, The Beast and The Harlot flavour. Stranglehold my favourite track on the album was like a hybrid between The Anti-Nowhere League and Motorhead, say We Are The League meets Ace of Spades? Although I pick up Motorhead in a lot of Punk Classics and see many a Mohican at Motorhead gigs. I often get bored if all tracks sound similar, but not in this instance. If you like your music hard and fast, it’s a tried and tested formula and you will love Asomvel. 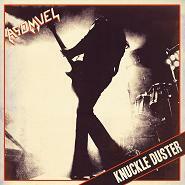 Knuckle Duster is a must listen for die-hard Motorhead fans and likely to be enjoyed by both Punks and Rockers alike.